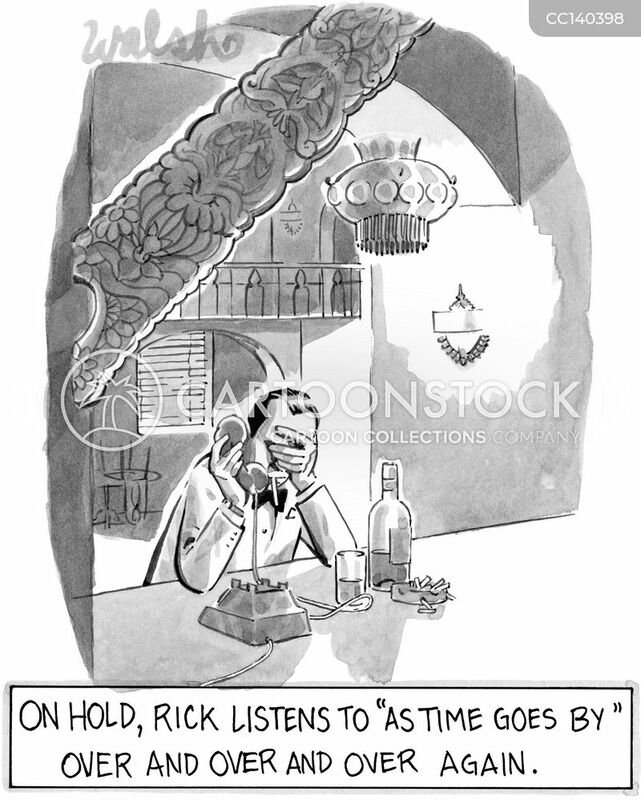 On hold, Rick listens to "As Time Goes By" over and over again. 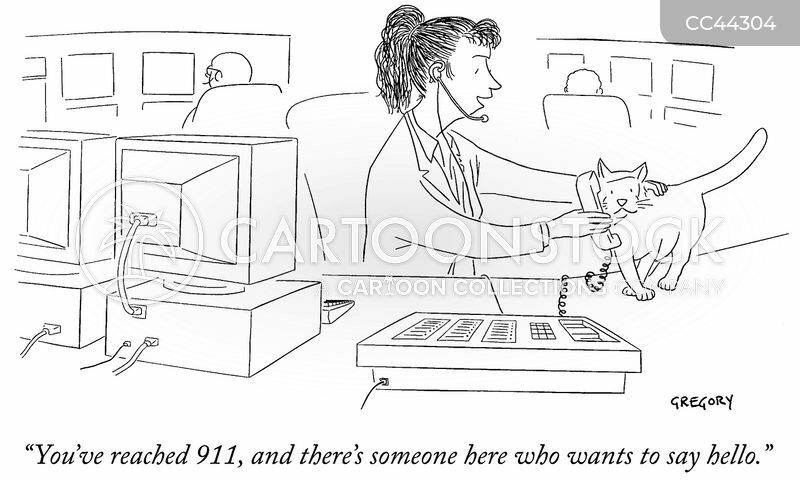 "You've reached 911, and there's someone here who wants to say hello." 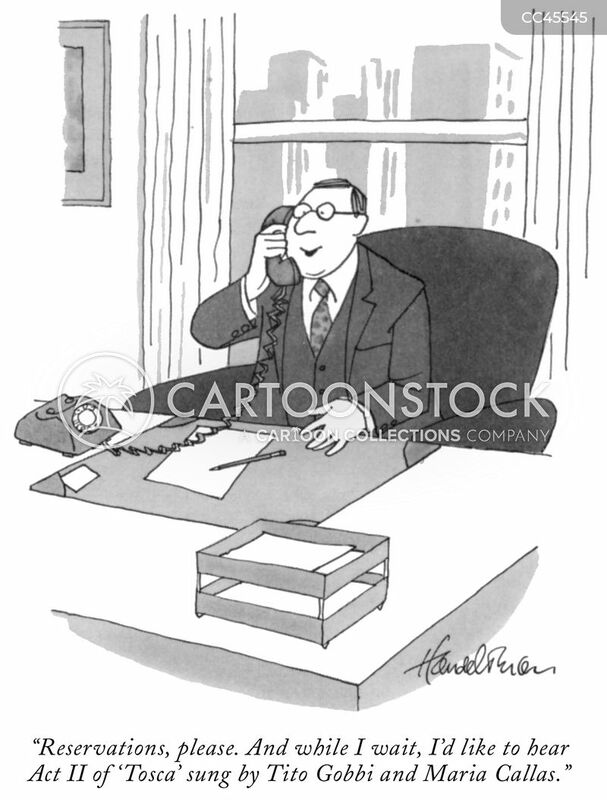 "Reservations, please. 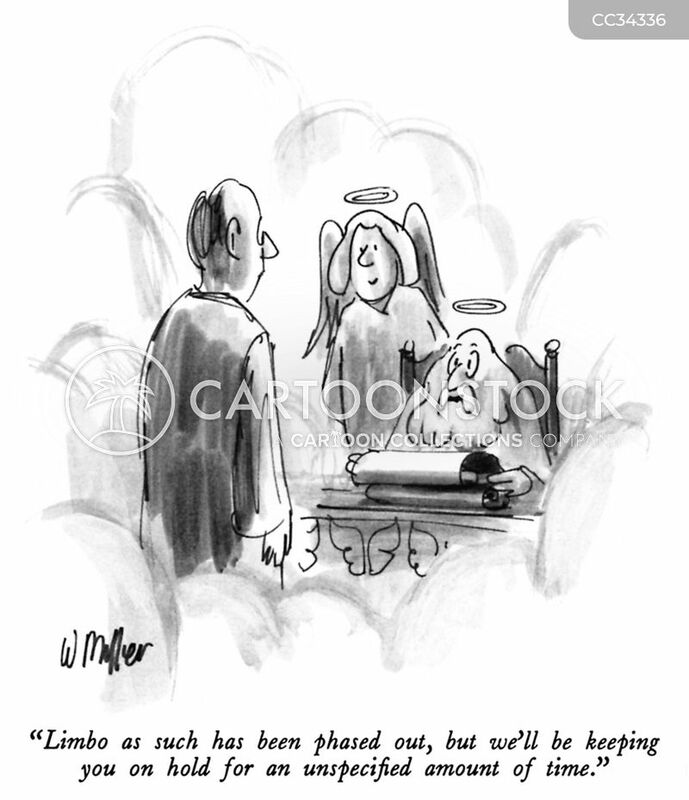 And while I wait, I'd like to hear Act II of 'Tosca' sung by Tito Gobbi and Maria Callas." 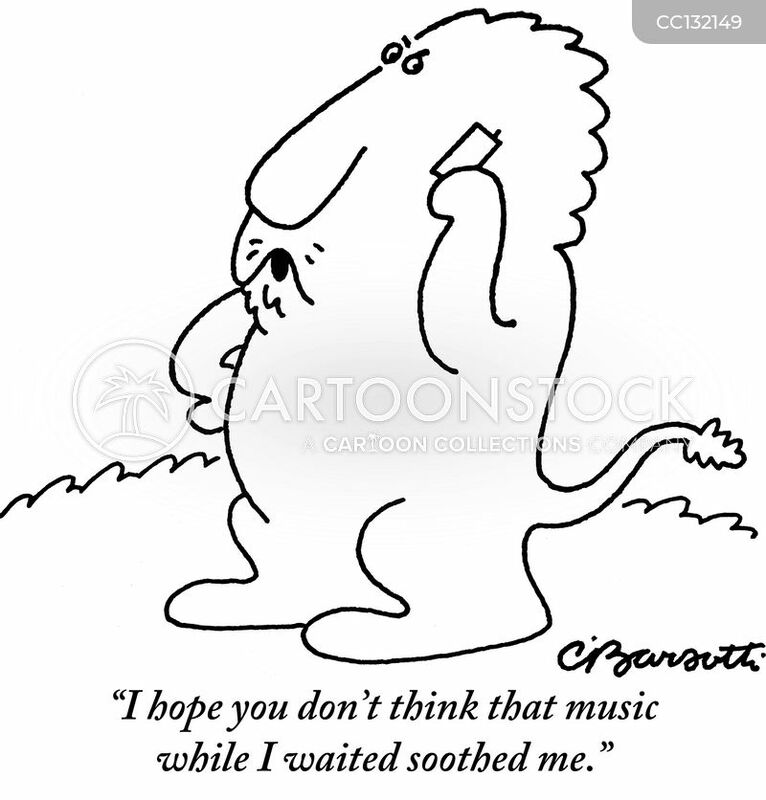 "I hope you don't think that music while I waited soothed me." 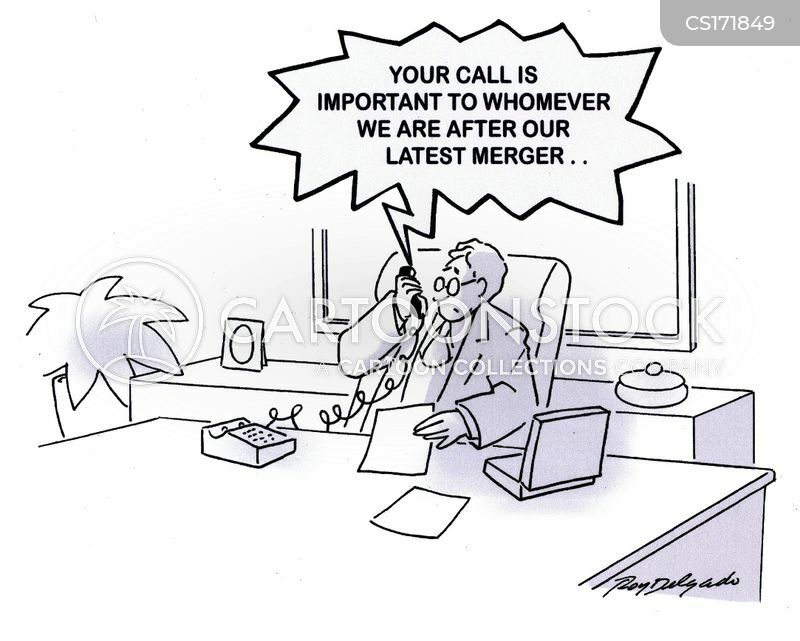 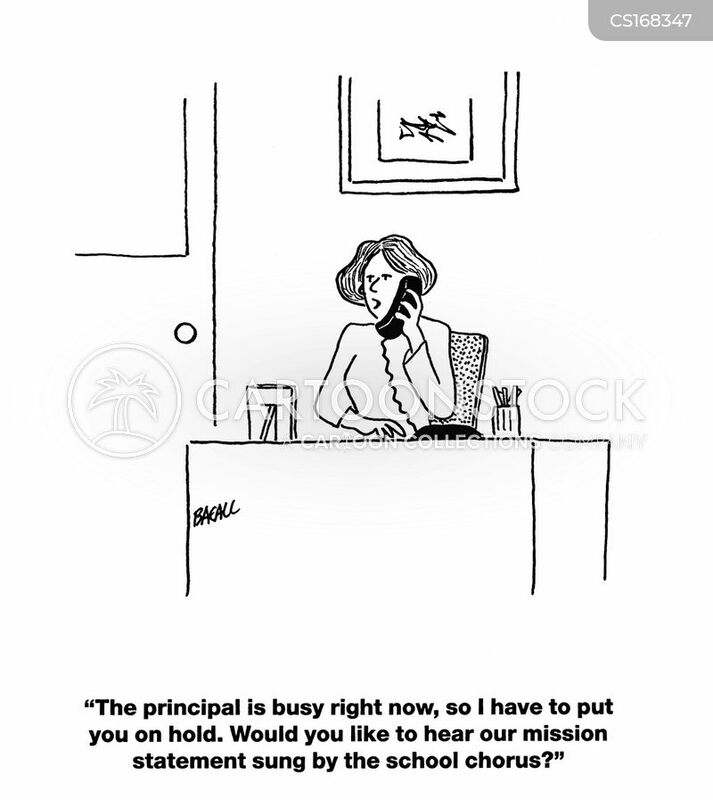 "Your call is important to us. 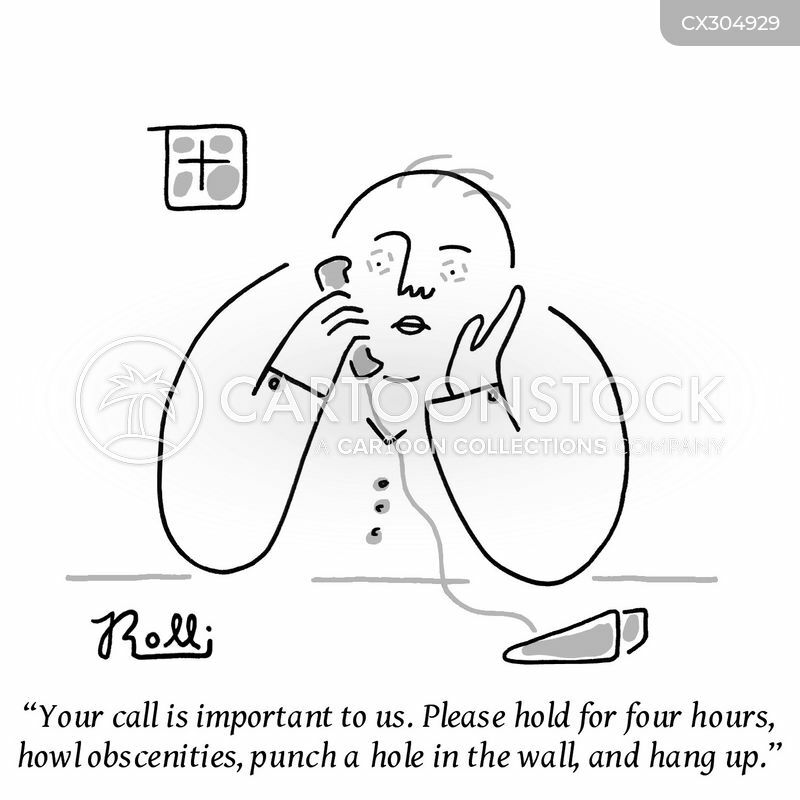 Please hold for four hours, howl obscenities, punch a hole in the wall, and hang up." 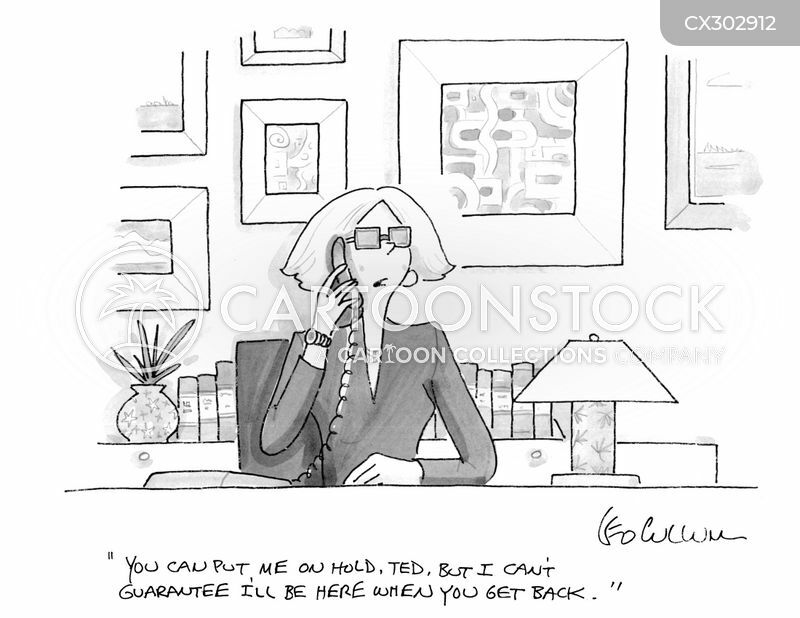 "You can put me on hold, Ted, but I can't guarantee I'll be here when you get back." 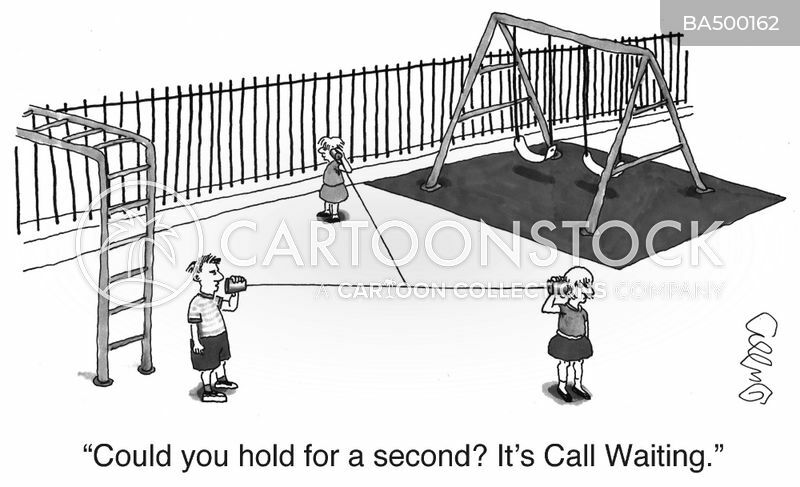 "Could you hold for a second? 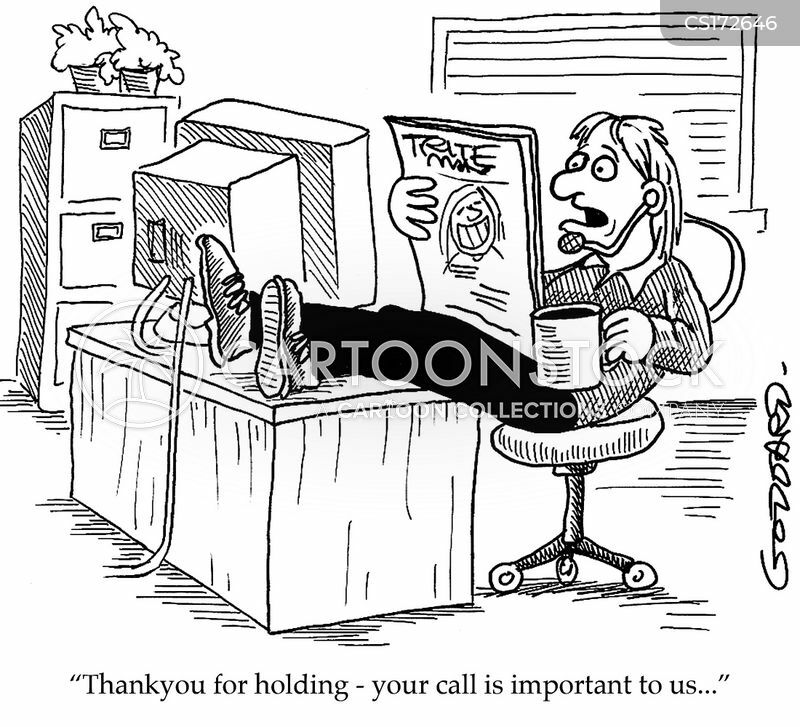 It's Call Waiting." 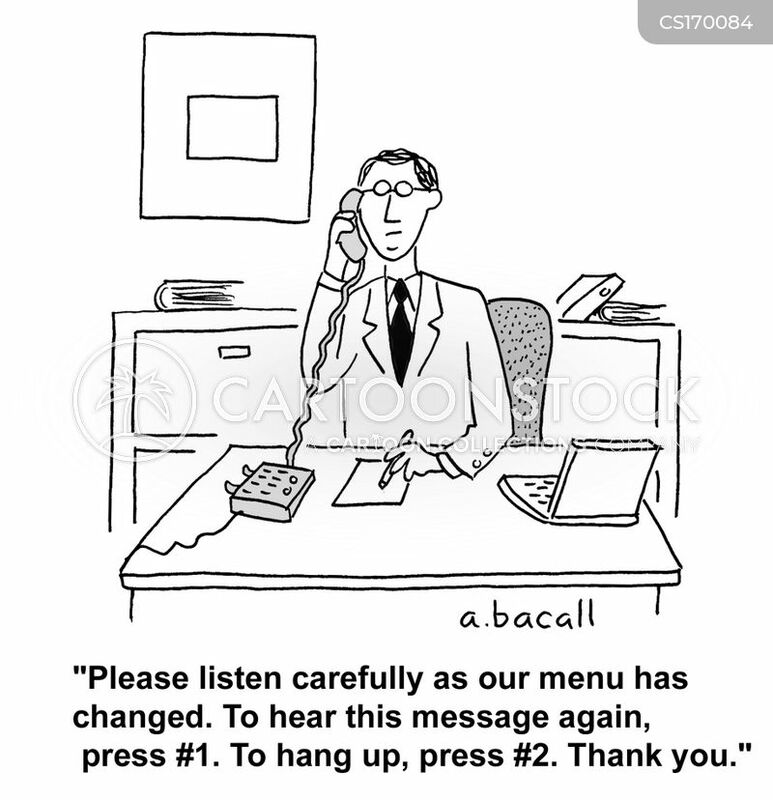 Our menu has changed. 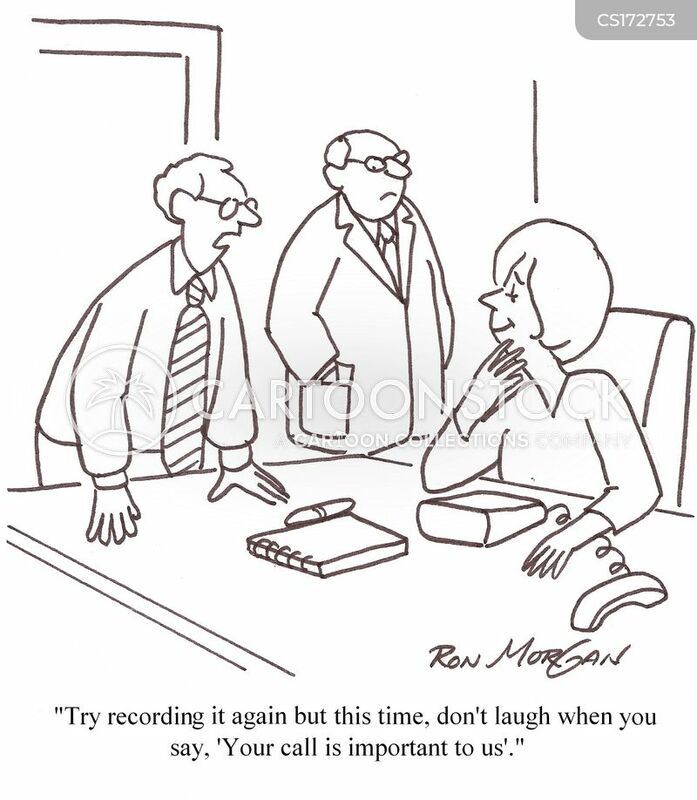 To hear this message again, press 1. 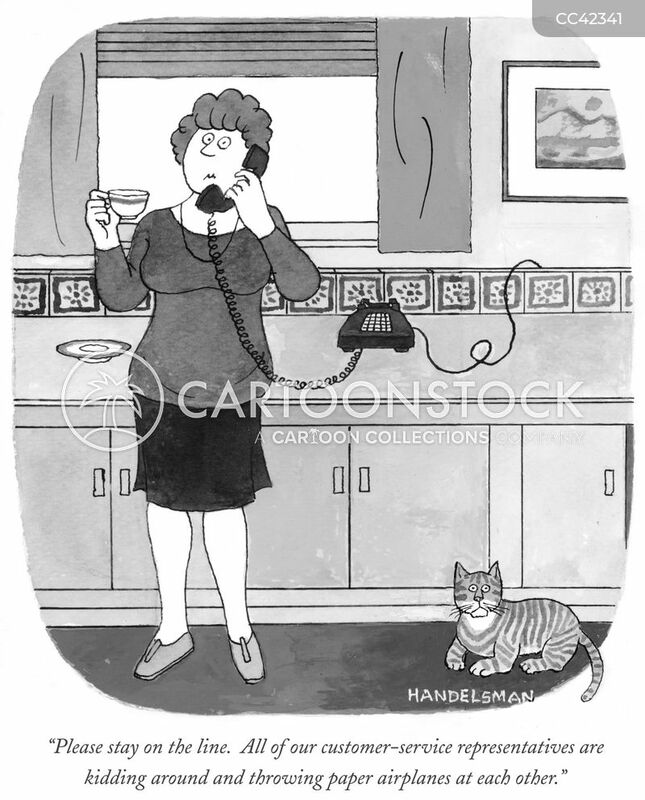 To hang up, press 2. 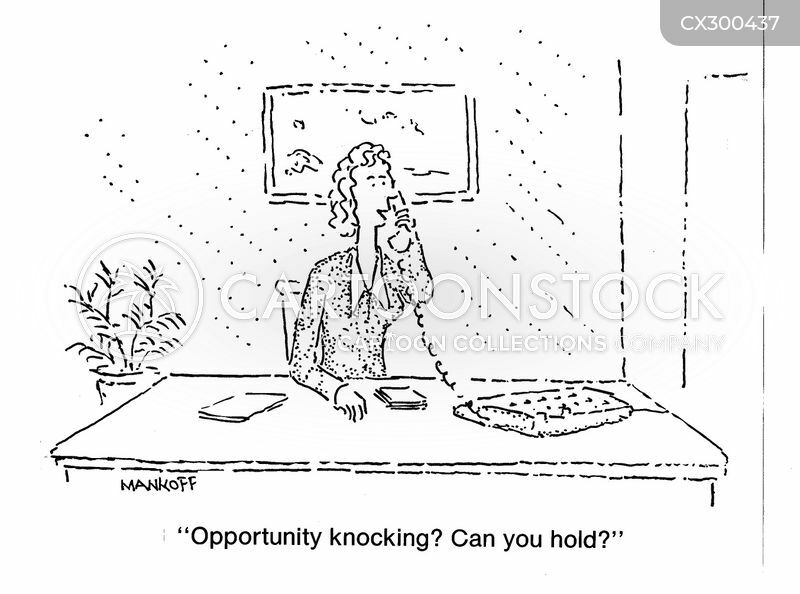 "Opportunity knocking? 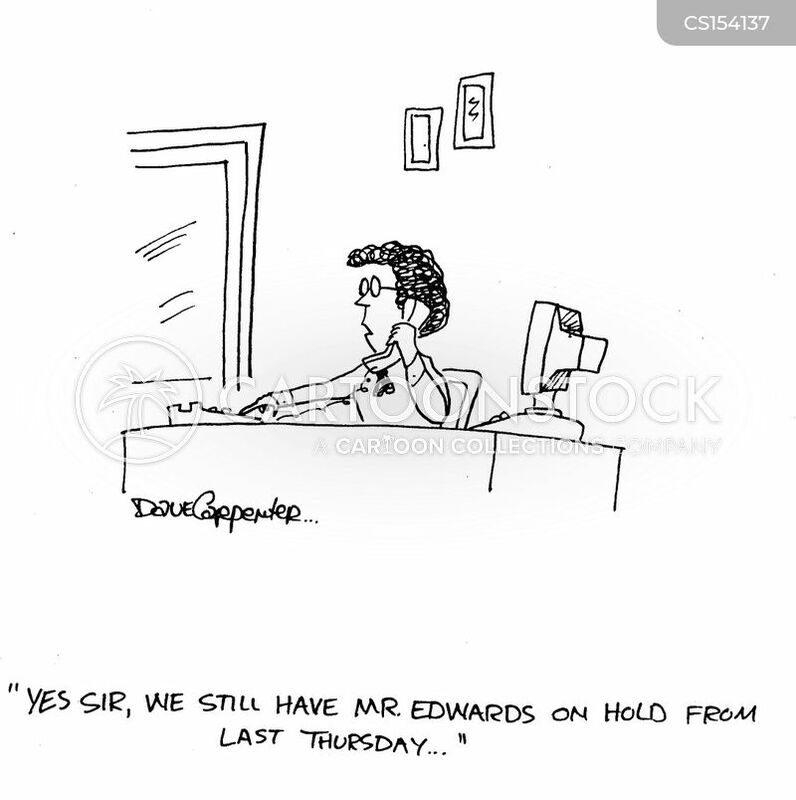 Can you hold?" 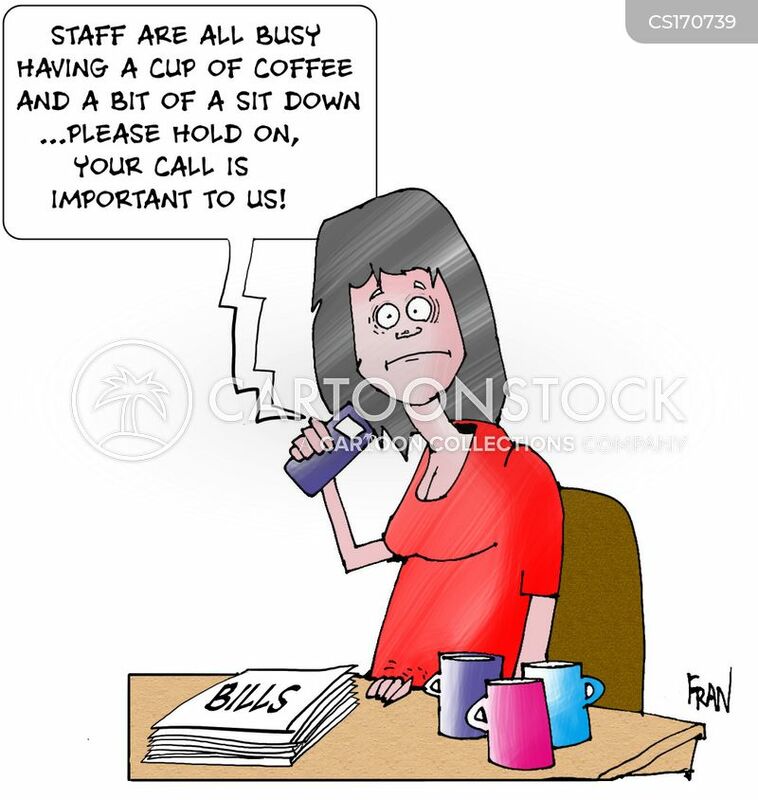 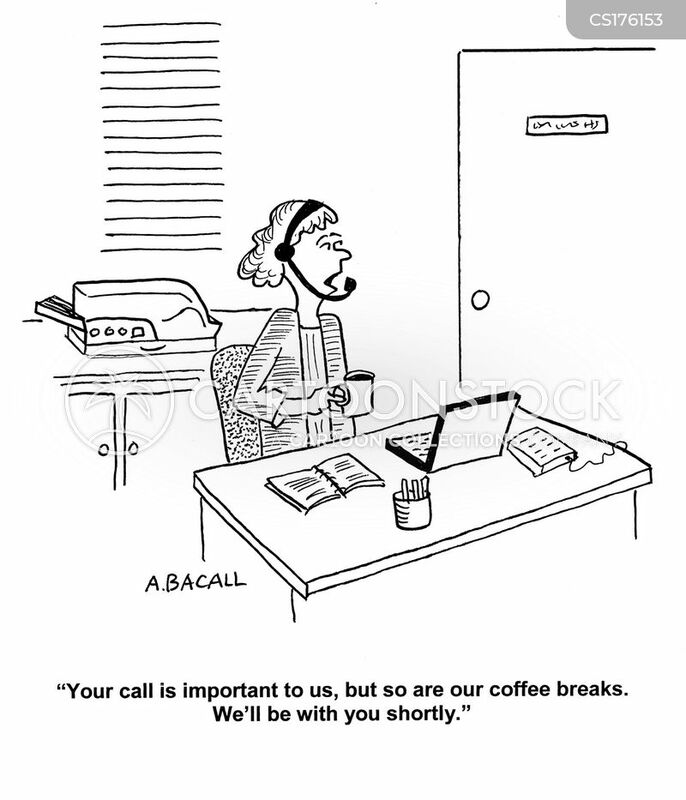 Staff are all busy having a cup of coffee and a bit of a sit down...please hold on, your call IS important to us! 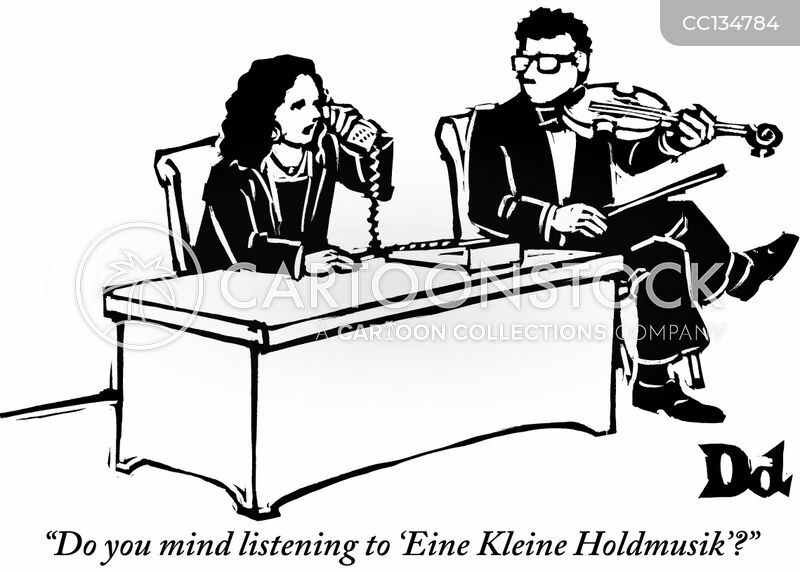 "Do you mind listening to 'Eine Kleine Holdmusik'?" 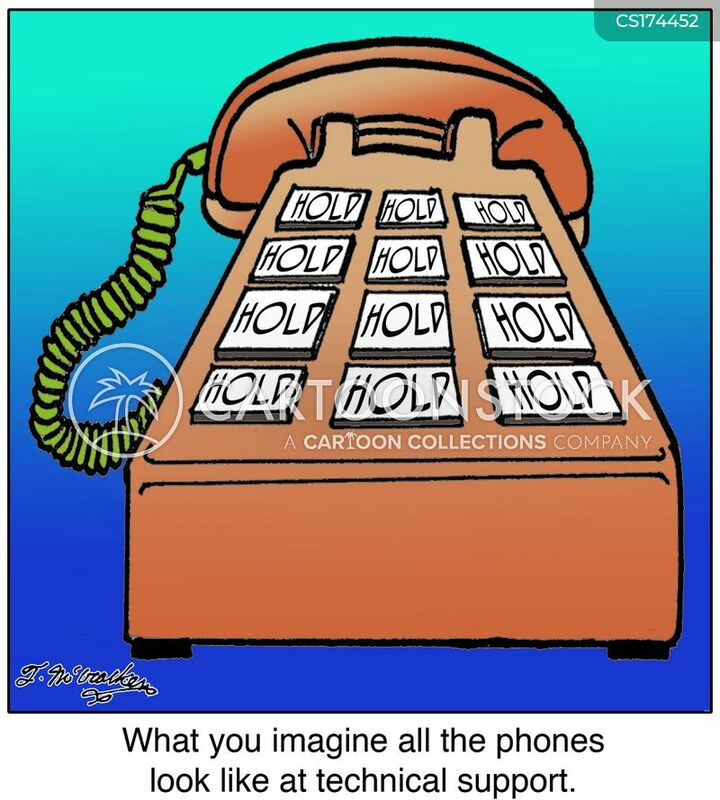 Hold, Hold, Hold, What you imagine all the phones look like at technical support. 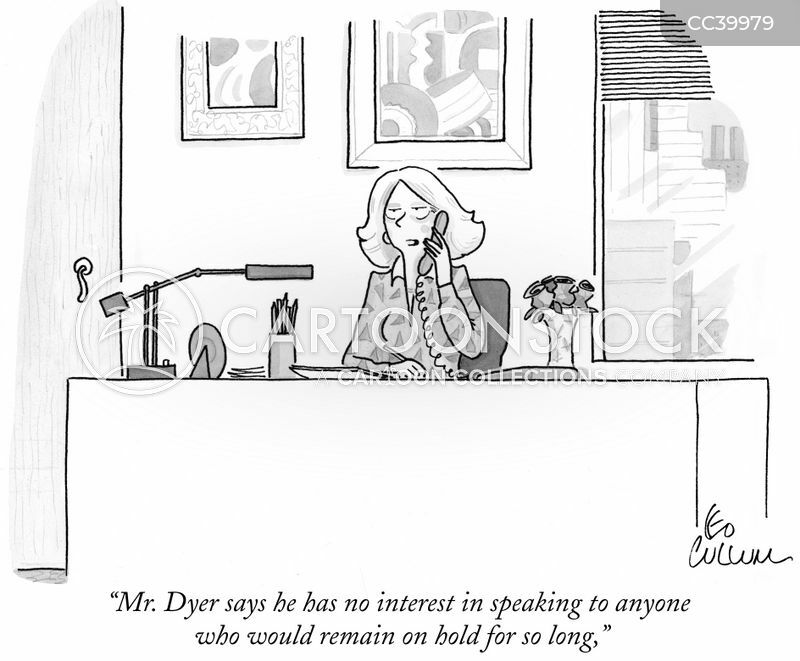 "Mr. Dyer says he has no interest in speaking to anyone who would remain on hold for so long,"
"Your call is important to us. 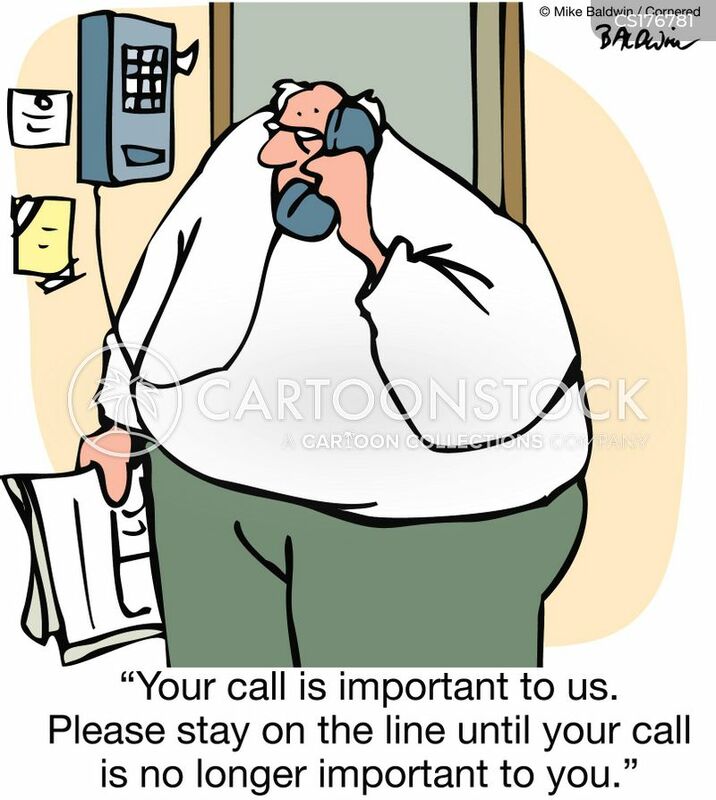 Please stay on the line until your call is no longer important to you." 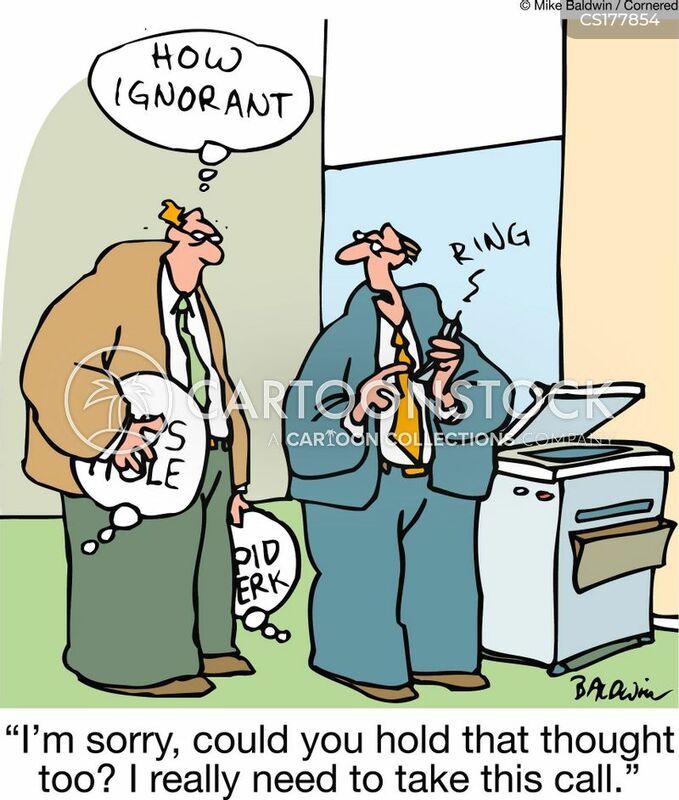 "I'm sorry, could you hold that thought too? 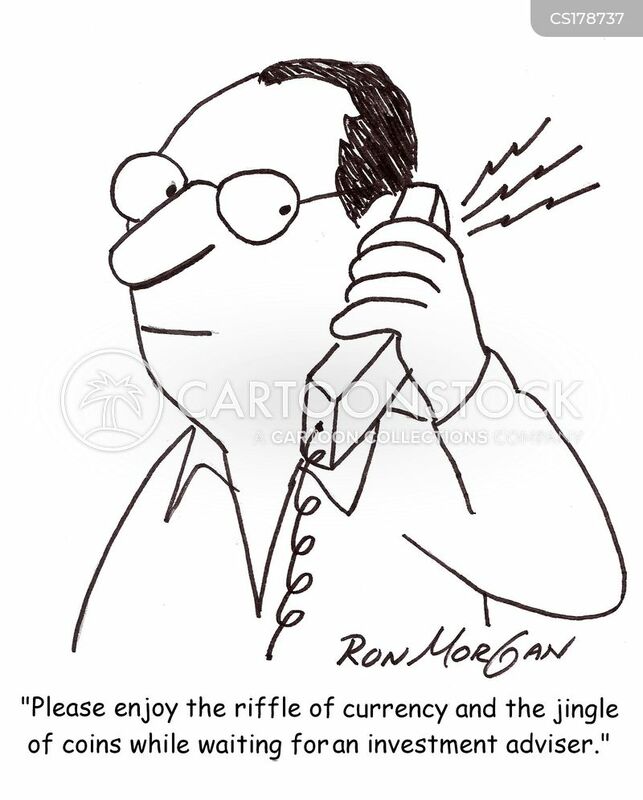 I really need to take this call."